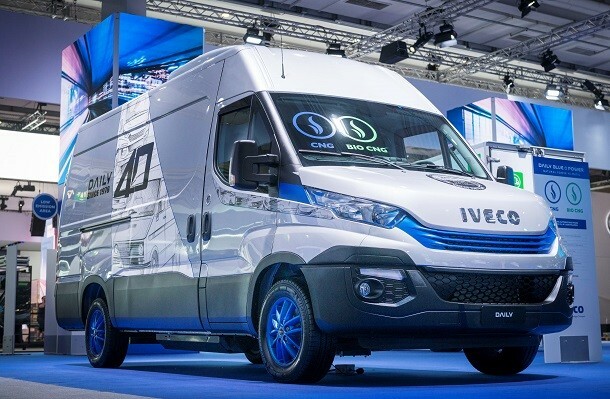 Iveco, at the IAA in Hannover (Germany), has launched a limited edition of one of their famous models, the Daily, for its 40th birthday. Only 500 vans will be available for purchase. 40 years of history ! Since 1978, the Iveco commercial van has been an important player of the freight transport industry. There has been around 3 million vehicles sold across 100 countries. Throughout its history, the Daily has received several awards such as the "International Van of the Year 2018" , for the Daily Blue Power. To be more efficient on the long term, the only solution is to adapt quickly to the client's needs. Thus, the Daily has always benefited from technologic inputs to reach new milestones and stay at the top. Nowadays, clients go towards sustainable transport and mobility. Iveco went towards enviromnent friendly technologies such as the "clean" variation of the Daily. This van became a worldwide reference in the sustainable van category. With new regulations for city travels and polluting vehicles soon to be excluded from city centres, the Daily Blue Power has a strong future in front of it!